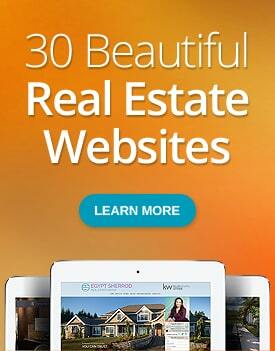 Building a real estate website is essential to your success. It allows you to create a positive first impression and helps to build credibility and attract new clients. With the industry getting more competitive, having a basic website or an online listing simply isn’t enough. Real estate agents are adopting new technologies and methods to generate prospects, promote listings, and establish themselves as experts in their communities. Here’s the good news, however: you don’t have to make sweeping changes to your site – you can start by looking into the details listed below. Roughly 60% of searches for the perfect property start online, with more than half of these done using mobile devices. Make sure your website works seamlessly across devices – on your phone, your tablet, or your laptop. Keep in mind, too, that a good-looking website is not enough. Your site should be simple to use. Allow quick access to key information by writing clear, concise, and easy-to-read copy. There should be little to no gaps in site navigation when people search for information. Navigation in 3 clicks or less – If you want guests to stay on your site, make any and all key information accessible in three clicks/taps or less. Don’t bury the important stuff deep in the website. 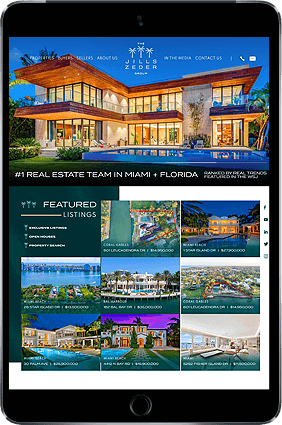 The Stein Team’s website is a prime example that shows you everything you need to find on the homepage – including significant sales, featured properties, a brief background on the company, and contact details. 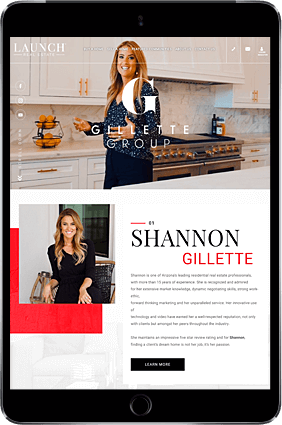 Loads fast on all screen sizes – A responsive design means the site should also have mobile and tablet-friendly navigation, with no need to pinch or zoom in to find key what you need. This is usually accomplished through the use of a burger menu, which keeps selections to a minimum, enabling fast navigation from section to section. Load time is very important across browsers and screen sizes. You can check your website’s load time using Google Page Insights. It’s tough to get a perfect score, but it’s still ideal to aim for at least 80 and above. Be compatible with any browser – Your site should load properly on the top used browsers including Google Chrome and Safari. There may be subtle differences in the way your website design appears on various browsers, so it’s worth a second look. Also, take the time to click on all the links on your website to see if they work. You can opt to use online tools like UserTesting.com that check for problems on usability. Lastly, consider setting up a Google Webmaster Tools account. This tool lets you check if your content has gotten indexed on search engines and allows you to submit new content for indexing. Prospects often use search engines to search for listings and gather more information before making a real estate transaction. Make sure your website is easy for users to find by optimizing your content. Search engine optimization or SEO covers a range of techniques and strategies meant to boost your site’s search results and help you attract targeted traffic. The page title is the blue text that appears on the actual search results. This is a key element that the search engine algorithms analyze when selecting which pages to show. Relevant keywords that match the search should be included in the page title so that your site can appear in a specific search. The use of effective page titles and descriptions can make a big difference in site traffic, as well as in the sales and leads generated from the site. Keep in mind though that SEO is only meant to be supplementary; there’s still no substitute for having amazing content on your site. The meta description refers to the short description below the page title. This needs to be concise and appealing so that people will be drawn toward your page when it appears in search results. Keep page titles to 60 characters; for the description, 150. This will keep the text within display limits. Don’t forget to include search terms in the page title, as well as attractive propositions like deals and freebies in the description. This will keep the text more appealing and memorable to online viewers. As for HTML characters, do note that non-standard characters, when used effectively and sparingly, can make your page stand out. The use of a trademark symbol can help distinguish your site. You can choose from a variety of HTML symbols, but be selective since Google may sometimes reject it. For single property websites, it would be helpful to mention the building or the address in the domain name. This allows for exact match searches on Google. It can also boost your standing on local search results. Lastly, don’t try ranking using prestigious, highly competitive search terms. Go for less competitive search terms that include your community name, physical address, or relevant dates and years. This particular information can still pull in relevant traffic. The best way to sell real estate and provide online viewers with a good sense of what you have to offer is through stunning photos. Include many high quality images for your listings that highlight their best aspects. The headlines accompanying your website images should be bold and attention-grabbing, both on mobile and on desktop. They should also capture the essence of the property by showing off any standout features. Virtual tours and video presentations are a great way to sell a property, but don’t underestimate the impact of a good property description. Most site visitors scrutinize these, along with images of the property when deciding if they should inquire or go to an open house or not. 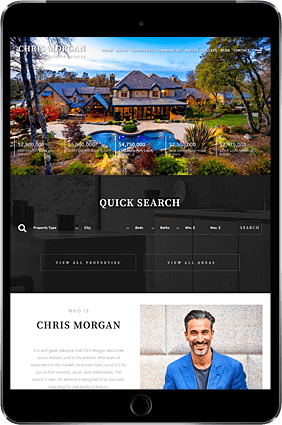 Use vivid and informative descriptions, together with crisp images, engaging virtual tours, and strategic SEO keywords to effectively promote your listings. Keep your property description informative but concise – in many cases, 150 words is enough. Describe what the property is like in person, what type of homeowner it’s best suited for, and what its major selling points are. Avoid technical language and go for sincerity and clarity. Here’s an example of a luxury listings by the The Oppenheim Group. The listing images consist of a high-resolution shot showcasing the exterior of the property. The description is brief but packed with useful information about the home. If real estate is all about location, location, location, then show potential buyers exactly where your properties are situated. Provide a location map indicating nearby bars, cafés, restaurants, stores, parks, bus stops, and other useful landmarks. A map gives potential clients a better picture of the area especially when community amenities are included. Natalie Gregory’s Featured Listings page shows a map of Decatur and the surrounding areas. There are several ways to incorporate maps onto your website. You can embed Google Maps with IFrames which allow you to customize the map to include your brand. You can also add extra pins and information on the surrounding area. A floor plan is often overlooked, but it can help buyers understand the property’s layout better. It can pique the interest of buyers and tenants who are particular about flow and divisions in their living space. Try uploading a PDF of the floor plan so viewers can download it and use it to help in their decision-making. Tools like MapsIndoors let you create floor plans for free and make them accessible online. Include the headshots of your team, their background information, and contact details on your site. This helps clients get to know who they’ll be working with. Hire a professional photographer for your headshots. List down the real estate experience of your agents and their approach to business. Sally Forster Jones has a well-written team bio that does a good job of highlighting their strengths as a real estate team. Technologies that allow quicker and easier communication, like a live chat plugin or a Facebook button, can also work to help forge real-time human communication between your potential clients and your team. Creating relevant blog posts and visual content on a regular basis will keep you ahead of the competition. Engaging content helps you get links, social media shares, and media coverage. In turn, your search rankings are boosted, you generate traffic, and you increase your brand’s awareness. Thought leadership, as shown through content, showcases your values and what your real estate brand stands for. Knowing your prospective clients’ personas and psychology should help you produce content that leads to conversions. Create engaging blog posts that speaks to the interests of your readers. Write about the locale and include your take on the changing market. Your readers will value a true local’s perspective as compared to generic or stock content. Not only is Google Analytics free, it’s also easy to use. This platform will provide you with in-depth information ranging from traffic totals to the number of leads from specific sources and listings. It can also show you flow visualizations of browsing sessions. Analyzing and measuring site traffic will help you find ways to get more views and visits. It also allows you to identify top-performing pages as you strengthen your overall content strategy. 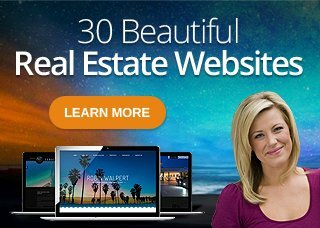 Ready to take your website to the next level? 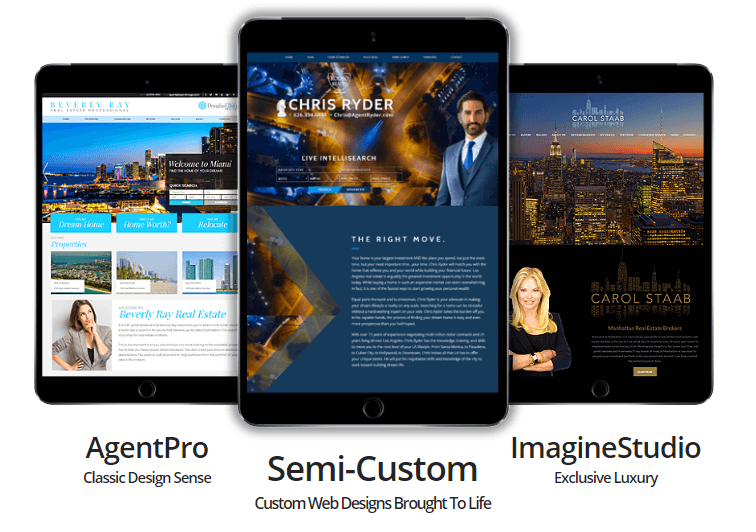 Get in touch with Agent Image to find out how to further enhance your website. Call us at 1.800.979.5799 or send us a message at info@agentimage.com.